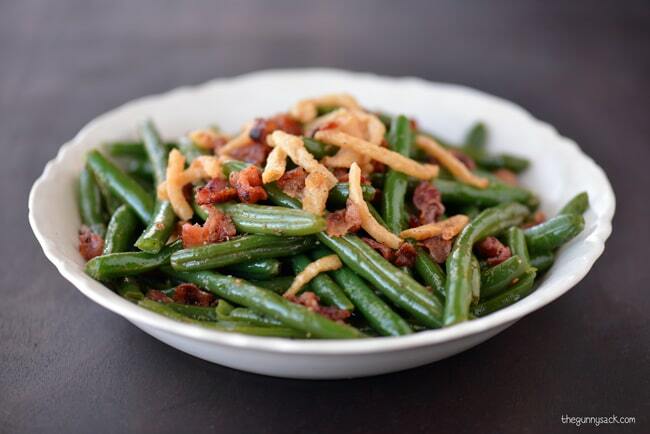 Disclosure: This Sautéed Green Beans with Bacon recipe was developed for Farberware Cookware as part of sponsored post. We finally have our Thanksgiving plans figured out…unless they change again. This year we will be spending Thanksgiving with my in-laws but we still need to decide who is bringing what. 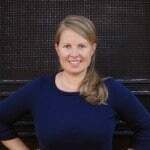 So far, I know that my in-laws will make the turkey, mashed potatoes and corn casserole. 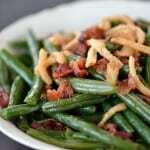 We will be bringing a ham, pecan pie and these green beans with bacon! 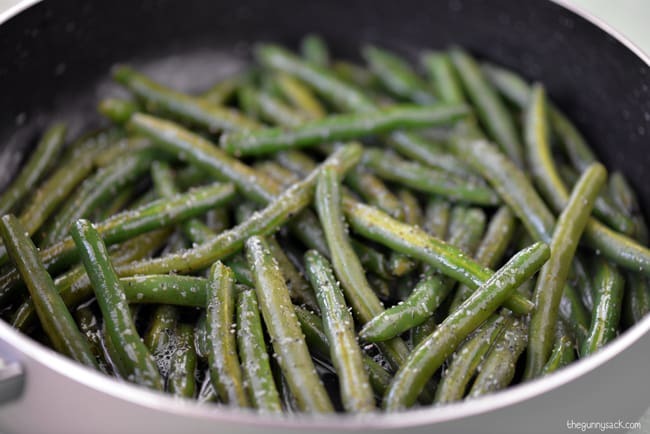 I made these sautéed green beans with bacon using my new Farberware Dishwasher Safe Nonstick Aluminum 12-piece Cookware Set in champagne and guess what… you can enter below to win a set of your own! My set came with a 1 quart covered saucepan, 2 quart covered saucepan, 5 quart covered Dutch oven, 2.75 quart covered saute, 10″ skillet, slotted spoon, solid spoon and a slotted turner. 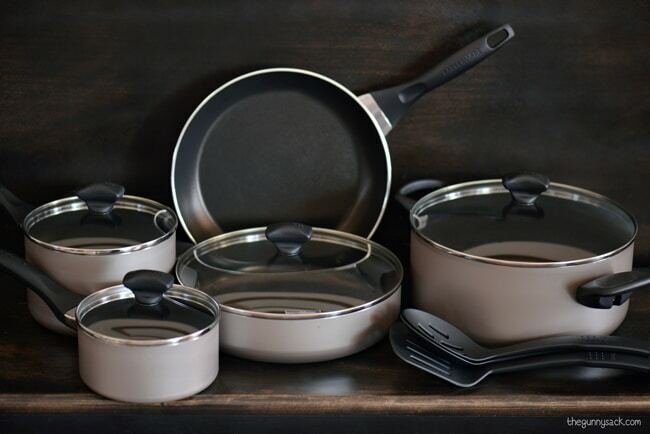 This Farberware Dishwasher Safe Nonstick Aluminum 12-Piece Cookware Set is made with heavy-duty aluminum that heats fast and evenly to help reduce hot spots that can burn foods. Farberware Dishwasher Safe Cookware gets its superior performance from Teflon nonstick coating. 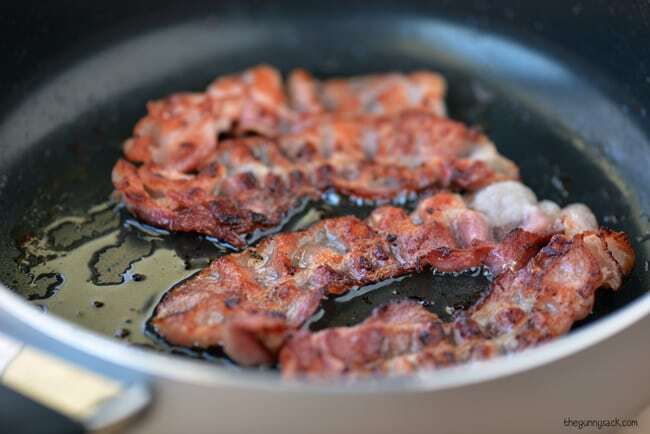 To make this recipe, start by frying slices of bacon in the 2.75 quart sauté pan. Put the beans into bacon grease and saute for a few of minutes. Then, add the water, salt and pepper. Cover the pan with a crack to allow the steam to escape and cook the beans. Immediately before serving, top the beans with bacon crumbles and French fried beans! 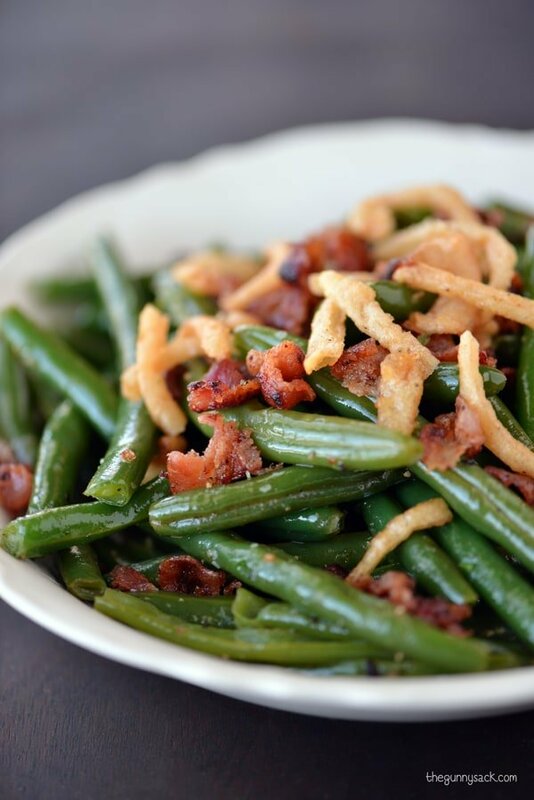 Green beans are always part of a traditional holiday dinner, but when bacon and French fried onions are added, the green beans become a showcase dish. I would actually give them to my mom, she is currently using pots and pans that people have given her and she has a few from thrift stores. My guess as to what she would make would probably be pork chops, fried or mashed potatoes, her famous mac n cheese, stove top corn bread, gravy, tortillas and a bunch of other yummy mommy stuff!